The Seattle area and the State of Washington provide unrivaled opportunities for boating. In fact, the Emerald City attracts boaters from all over the world. From the Duck Dodge to its status as a bustling international seaport, recreational watersport opportunities abound. While boating can be a fun way to spend your leisure time, boating incidents can and do happen. People are injured all the time in boating incidents – and often it’s due to the negligence of another. 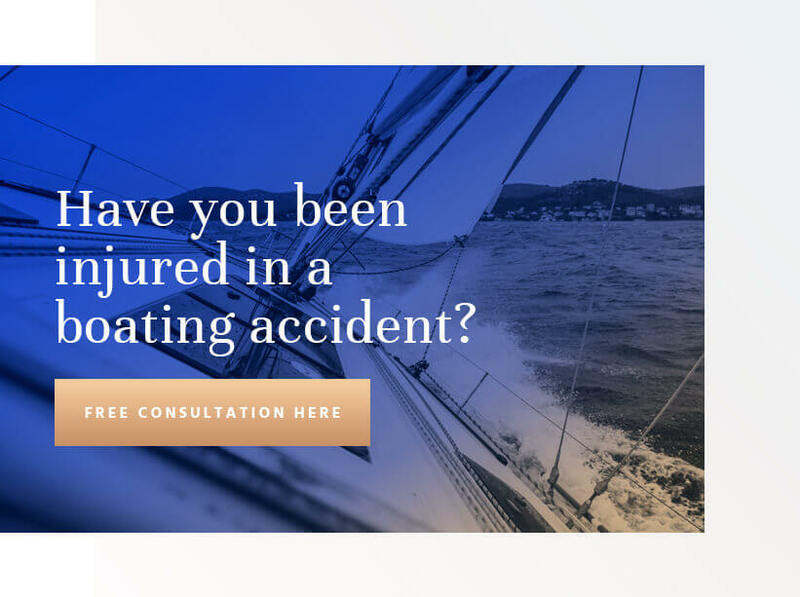 Boating injuries have many complicated legal considerations, so it’s essential to retain the services of a firm that is experienced in maritime law. Contact the boating injury attorneys at Colburn Law for a confidential and strategic review of your legal options. Like most other personal injury claims, your boating injury claim will be rooted in the legal theory of negligence. In other words, you must prove the other person owed you a duty of care, violated that duty, and that violation led directly to your injuries. Your boat crashes into another. You’re injured when you hit another boat’s wake. Your boat hits a wave. You hit a submerged object, such as a rock. Most of the time, when two boats crash, the operators share fault. If you’re a passenger on either boat, you may have a personal injury case against the person driving the boat. If you’re the operator, you would only have legal recourse if the other boater had the majority share of fault under Washington law, which is 50% or more. An exception would be a crash between a motorboat and a sailboat. Since sailboats are harder to steer, the law requires motorboats to stay out of a sailboat’s way. Though it’s not always true, operators of motorboats are more likely to be at fault in a crash involving a sailboat and a motorboat. Big boats produce big waves. When a boat hits a large wake, the jolt can knock passengers down or even throw them overboard. Unfortunately, legal liability involving wakes isn’t always clear-cut. Boating laws and regulations require each operator keep an eye out for potential hazards. There are many scenarios in which the operator of the boat may be liable. For example, if the boats were in a no-wake zone, like an inner harbor, or if they were speeding in a crowded area, they would likely be responsible for injuries they caused by creating wakes. Passengers who are injured when a boat’s operator hits a wave may be able to collect compensation, if, like in the example above, the operator was speeding or driving recklessly. Hitting a submerged object may not be the result of negligence. For example, if the operator was traveling cautiously aided by nautical charts and hits a jetty, the law likely won’t consider this person to be negligent. If, however, this driver was traveling fast in a dense fog without navigation, those actions would constitute negligence. Federal, state, and local boating regulations dictate that even small pleasure craft have life jackets for each passenger. In many cases, the law also requires them to have life rings, flares, fire extinguishers, and whistles. If you’re injured in a boating incident and the proper safety equipment is not onboard, you might make the argument that a lack of safety equipment impeded rescue efforts, especially if those rescue efforts would have minimized your injuries.